FROM IARA LEE: dearest fb friends, THANK YOU for all the amazing bday greetings and your spiritual & physical presence at the NYC premiere. delighted that the 400 seat theater was packed. the lively q&A made us conclude that in the USA is where we need to work the hardest to provoke change, since so much of the bad stuff happening in the world is byproduct of terrible USA foreign policy. americans, lets resist and act-for-change!!! Every Day Is Yours To Win, the latest film in R.E.M.’s Collapse Into Now Film Project, is currently streaming on YouTube’s homepage for 24 hours. The film features an introduction by Michael Stipe and co-director Jim McKay, who are the guest curators for the day. Stipe and McKay are also sharing some of their all-time favorite YouTube clips, also featured on the homepage of YouTube. Every Day Is Yours To Win was directed by McKay, Chris Moukarbel, and Valerie Veatch. 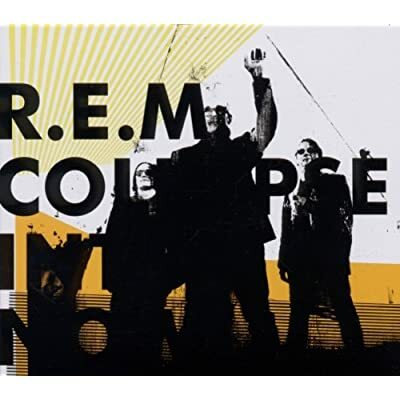 The Collapse Into Now Film Project is a selection of films accompanying each song on R.E.M.’s current album Collapse Into Now and directed by notable artists and filmmakers and personally curated by singer Michael Stipe. The list of directors includes Oscar-nominated actor James Franco, filmmaker, photographer, and conceptual artist Sam Taylor-Wood, and Oscar-nominated documentary filmmaker Albert Maysles. Several films have already premiered online with more to be unveiled for viewing at broadcast and web outlets over the next several weeks, so please stay tuned to www.remhq.com for schedule and details. The U.S. Boat to Gaza - THE AUDACITY OF HOPE - is calling on artists, animators and filmmakers to encourage you to develop and submit a short 1-5 minute video about THE AUDACITY OF HOPE for mass distribution on Youtube and through our networks. Help us raise the profile of the U.S. Boat to Gaza in the coming months before we sail in June 2011 with the Freedom Flotilla II. THE AUDACITY OF HOPE is committed to carrying powerful voices from this country to the people of Gaza; those voices who are supporting this grassroots, human-rights mission which is working to help end the illegal U.S. supported Israeli naval blockade of Gaza. We need your creativity to increase our visibility throughout this country. 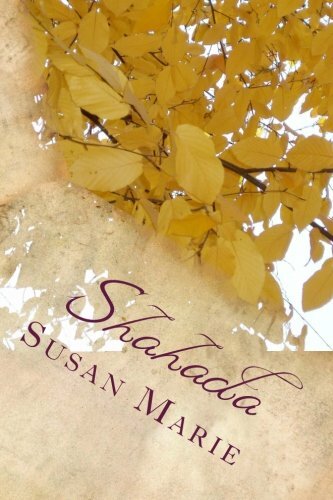 THE AUDACITY OF HOPE - and promote the name in order to build public awareness of this effort. 3. The piece cannot promote any affiliation to political parties, institutions or associations in the U.S. or in Gaza and the Occupied Territories. 4. The piece cannot promote or support the use of violence or anything that would undermine our commitment to nonviolence. Please send your videos to us at videostogaza@gmail.com. The Buffalo Infringement Festival (BIF) is an 11-day long multi-genre arts festival in Buffalo, NY. It is free for all artists to participate, everyone is accepted and artists keep 100% of the profits from their projects and performances. The art that is typically Under the Radar is exemplified. The Buffalo Infringement Festival is a non-profit-driven, non-hierarchical grassroots endeavor bringing together a broad range of eclectic, independent, experimental, and controversial art of all forms. Visual, performing, musical, and media arts are all welcome here. Taking place in multiple venues in and around Buffalo’s Allentown District, the festival is an annual eleven-day event running from the last weekend of July through the first weekend of August. The annual Buffalo Infringement Festival provides artists and audiences of all backgrounds the chance to come together, take chances, push boundaries, and explore uncharted territory because exciting art can happen anywhere, anytime, without a blockbuster budget. The Buffalo Infringement Festival is dedicated to the belief that art has a greater purpose than simply to entertain or simply to make a quick buck. Unfortunately, the modern-day arts world is increasingly degenerated by commercialism, elitism, and close-minded-ness. In this climate, the vast majority of art inevitably grows more and more toothless, perfunctory, and irrelevant. To counter this, we have undertaken the task of clawing out a small niche where artists are free – both ideologically and financially – to create as they wish. There are many festivals – nationally and internationally – that seek to promote “alternative art.” But, all too often, these endeavors are a victim of their own success. As they grow in popularity, they become part of the mainstream and, ultimately, suffer from the same commercialism and complacency that they set out to break free from in the first place. 1) Artists Participate for Free! There is no admission fee for artists and artists keep one hundred percent of the money that their project brings in at the door. The festival provides each project with a venue to perform in, three to five performance slots (sometimes more for outdoor events), and listings in our brochure and on our website. All other costs, issues, and needs are left for the artists to tackle of their own accord. 2) No one is Rejected! Anyone who gets in a Project Proposal before the submission deadline – as long their project is legal and physically do-able – will be accepted. No one is empowered to judge artists’ work as “worthy” or “un-worthy.” Everything is welcome. 3) No one is in Charge! The “infringement” festival is a non-hierarchical collective. There is no salaried staff. There is no official in a suit and tie telling people what to do. No one is making any money off of this (other than, hopefully, the artists). Instead, the festival is organized by a volunteer committee, which is open to anyone who wants in. All decisions are made democratically. 4) Keep it Cheap! The only thing our artists are NOT allowed to do is charge too much at the door. In order to foster a non-commercial atmosphere, the maximum admission fee that any “infringement” festival event can charge is $10.00 dollars per ticket. Many “infringement” events are offered on a “pay-what-you-can” basis or through some other alternative admission fee. Artists are strongly encouraged to take this approach. What We Will Use the Money For: The biggest thing we do with the money we raise is printing our massive schedule brochure. Each year, as the festival increases in size, so does our schedule. The schedule is the number one way that we help the artists advertise about their shows as it contains a small description of each project and the times/locations where it can be seen. We get the schedule printed in our local free arts publication, Artvoice. We use these materials to solicit applications, raise awareness and promote the festival. Another thing we do with the money we raise is to create merchandise to sell (T-shirts, stickers, magnets, posters, etc.) which helps us keep money flowing into our budget from year to year, helping to make the festival self-sustaining. We also use some of the money to rent sound equipment and to pay people who are qualified to run that equipment for some of the venues during the festival. When we have money to pay for these rentals, this helps keep artists from having to contribute their profits to rent their own equipment and to pay sound techs, etc. You have 5 days left! VOLUNTEERS NEEDED! FEELING COOPED UP? Wanting to do something cool? Then do this! Keep it alive people, we all know our art is often all we have. THANK YOU FOR HELPING TO MAKE THE BUFFALO INFRINGEMENT FESTIVAL POSSIBLE FOR 2011 AND BEYOND! One has to die to become a hero, to hit the headlines and to have TV crews around the house, but does one have to die to stay human? I recall Vittorio in the Christmas of 2005, detained and incarcerated in the Ben Gurion Airport, the scars left by the handcuffs that cut his wrists, the denial of any contact with the consulate, the farcical process. And I recall Easter that same year, when just across the Allenby Bridge at the Jordanian border the Israeli police blocked his entrance in the country, put him on a bus and, seven against one (one of the seven was a policewoman), they beat him up “with skill”, without leaving any external marks, like the real professionals they are, then hurling him to the ground and throwing at his face, as a last scar to add to the others, the hair they had ripped off him with their machines. Vittorio was unwanted in Israel. Too subversive, for having joined his friend Gabriele one year earlier and demonstrated along with the women and men of the village of Budrus against the Wall of Shame, teaching them the lyrics and singing together our most beautiful partisan song 'O bella ciao, ciao...'. Back then no TV crew came by, not even when in the Fall of 2008 a commando attacked in Palestinian waters off Rafah the fishing boat he had boarded. Vittorio was incarcerated in Ramle and soon after sent back home with nothing but the clothes on his body. Nevertheless, I cannot but be thankful to the press and television that have approached us with composure, that have 'besieged' our home with restraint, without excesses and that have given me the chance to talk about Vittorio and about his ideals and the choices he made. This lost child of mine is more alive than ever before, like the grain that has fallen to the ground and died to bring forth a plentiful harvest. I see it and hear it already in the words of his friends, above all the younger among them, some closer, some from afar. Through Vittorio, they have known and understood, and now even more, how one can give 'Utopia' a meaning, like the thirst for justice and peace, how fraternity and solidarity still stand and how, as Vittorio used to say, 'Palestine can also be found at your doorsteps'. We were a long way from Vittorio, but now we are closer than ever, with his living presence magnified at every passing hour, like a wind from Gaza, from his beloved Mediterranean, blowing fierily to deliver the message of his hope and of his love for those without a voice, for the weak and the oppressed, passing the baton. Bisogna morire per diventare un eroe, per avere la prima pagina dei giornali, per avere le tv fuori di casa, bisogna morire per restare umani? Mi torna alla mente il Vittorio del Natale 2005, imprigionato nel carcere dell’aeroporto Ben Gurion, le cicatrici dei manettoni che gli hanno segato i polsi, i contatti negati con il consolato, il processo farsa. E la Pasqua dello stesso anno quando, alla frontiera giordana subito dopo il ponte di Allenbay, la polizia israeliana lo bloccò per impedirgli di entrare in Israele, lo caricò su un bus e in sette, una era una poliziotta, lo picchiarono «con arte», senza lasciare segni esteriori, da veri professionisti qual sono, scaraventandolo poi a terra e lanciandogli sul viso, come ultimo sfregio, i capelli strappatagli con i loro potenti anfibi. Questo figlio perduto, ma così vivo come forse non lo è stato mai, che come il seme che nella terra marcisce e muore, darà frutti rigogliosi. Lo vedo e lo sento già dalle parole degli amici, soprattutto dei giovani, alcuni vicini, altri lontanissimi che attraverso Vittorio hanno conosciuto e capito, tanto più ora, come si può dare un senso ad «Utopia», come la sete di giustizia e di pace, la fratellanza e la solidarietà abbiano ancora cittadinanza e che, come diceva Vittorio, «la Palestina può anche essere fuori dell’uscio di casa». Eravamo lontani con Vittorio, ma più che mai vicini. Come ora, con la sua presenza viva che ingigantisce di ora in ora, come un vento che da Gaza, dal suo amato mar Mediterraneo, soffiando impetuoso ci consegni le sue speranze e il suo amore per i senza voce, per i deboli, per gli oppressi, passandoci il testimone. Iara Lee, a Brazilian of Korean descent, is an activist, filmmaker, and founder of the Caipirinha Foundation, which supports projects to secure peace with justice. Iara is currently working on a variety of initiatives, grouped under the umbrella of CULTURES OF RESISTANCE, an activist network that brings together artists and changemakers from around the world. As an activist, Iara has collaborated with numerous grassroots efforts, including the International Campaign to Ban Cluster Munitions, the Conflict Zone Film Fund, and the New York Philharmonic's groundbreaking 2008 concert in North Korea. From 1984 to 1989 Iara was the producer of the Sao Paulo International Film Festival. In 1989 she moved to New York City, where she founded the mixed-media company Caipirinha Productions to explore the synergy of different art forms (such as film, music, architecture, and poetry). Under the banner of Caipirinha Productions, Iara has directed short and feature-length documentaries including Synthetic Pleasures, Modulations, Architettura, and Beneath the Borqa. She has also organized lectures, photo exhibits, and fundraising events related to these initiatives. Iara Lee is a member of the President's Council of The International Crisis Group (ICG) and the Council of Advisors of the National Geographic Society, as well as a trustee to the Pyongyang University of Science and Technology (PUST), North Korea's first and only university whose faculty will be entirely composed of international professors. Iara Lee has begun a USA film premiere. Iara were on the Mavi Marmara and has traveled the world documenting art, culture and the use of that as a tool for positive resistance. Iara Lee states, "The message of Cultures of Resistance is that people throughout the world need to rise up to create positive change. That is something I have always felt. But I never expected to see this spirit being put into action so dramatically as it is now in so many countries in North Africa and the Middle East. Hopefully that spirit of change will inspire people in many more countries to come. Cultures of Resistance is a celebration of people's power and creativity. It promotes the notion that, if we all work together, we can--as Gandhi said--be the change we want to see." Everyone is are asked to create a postcard (4" x 6" OR 5" x 7" ) with supportive, positive, hopeful and encouraging messages via pictures and text. 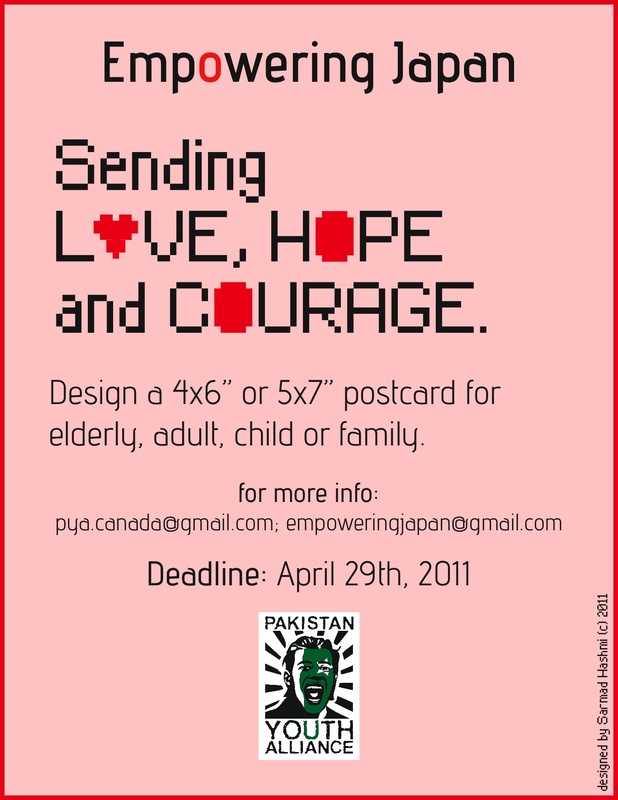 The postcard will target envisioned recipient(s) according to age and gender: family, elderly, adults and children. The collection of art pieces will be filtered for appropriate content according to our guidelines before being sent. We will print it for you without any cost and will add to our collection. #Vittorio Arrigoni loved, lived & died for peace in #Gaza and he will always be remembered as one of the many fallen heroes on The Strip. Palestinians across the Gaza strip and the West Bank will join today in mourning slain activist Vittorio Arrigoni. People will gather both in the Al Manara square in Ramallah and at Al Jundi al Majhull, the unknown soldier park, in Gaza City. Mourners will be received at up by the ISM and local popular committees and BDS and civil society activists. 16.00, Al Manara square - gathering to commemorate Vittorio The crowd will then march to Al Bireh where mourners can pay their respect at an event held at the Al Bireh Municipality hall. Further events will take place across the West Bank and the Gaza strip. Protest demonstrations have taken place fallowing the Friday prayer across from the UN head quarters in Gaza. The villages of Bil'in and Al Masara have dedicating their weekly demonstrations to Vittorio today. Tomorrow in Nablus the poplular committee has called for a commemoration in the centre of the city with political parties in condemning Vittorio's killing and celebrating his work. April 14, 2001 - Today, friend and colleague, Vittorio Arrigoni, a journalist and human rights defender working in the Gaza Strip, was kidnapped by Salafists, members of a very small extremist group in Gaza. Vittorio has been active in the Palestine cause for almost 10 years. For the past two and a half years, he has been in Gaza with the International Solidarity Movement, monitoring human rights violations by Israel, supporting the Palestinian popular resistance against the Israeli occupation and disseminating information about the situation in Gaza to his home country of Italy. He was aboard the siege-breaking voyage in 2008 with the Free Gaza Movement and was incarcerated in Israeli prisons several times. He was in Gaza throughout Israel’s brutal assault [Operation Cast Lead], assisting medics and reporting to the world what Israel was doing to the Palestinian people. He has been arrested numerous times by Israeli forces for his participation in Palestinian non-violent resistance in the West Bank and Gaza. His last arrest and deportation from the area was a result of the Israeli confiscation of Palestinian fishing vessels in Gazan territorial waters. Vittorio frequently writes on the issue of Palestine for the Italian newspaper, IL Manifesto and Peacereporter. Additionally, he maintains Guerrilla Radio and on Facebook. Khalil Shaheen, a friend of Vittorio and Head of the Economic and Social Rights Department at the Palestinian Center for Human Rights said, "This is outside of our traditions. We are calling for the immediate release of my best friend. Vittorio Arrigoni is a hero of Palestine. He was available everywhere to support all the poor people, the victims. I'm calling on the local authorities here in Gaza, and all security departments, to do their best to guarantee his safety and immediate release." International Solidarity Movement (ISM) is a Palestinian-led non-violent resistance movement committed to ending Israel's illegal occupation of Palestinian land. We call for full compliance with all relevant UN resolutions and international law.